Woodward Creek Ranch is a working cattle ranch. 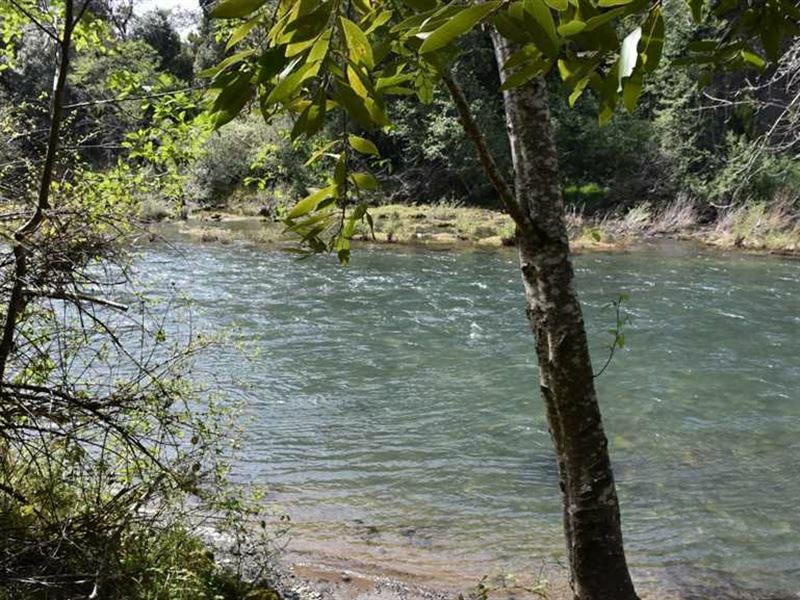 Located on the Coquille river provides the ranch with irrigation and recreational use of the river. Home was remodeled & updated. Barn and Shop with trophy room office provides storage for equipment. The ranch is currently running 37 head of mother cows and calfs. Excellent river bottom pasture could be changed from pasture to crop land if desired. There are 69 acres of water rights that will transfer with this property. Excellent Hunting is available to the owner, along with LOP tags. Blacktail, Elk, Turkey, duck and Goose hunting on the property or near by. Your own beach for Steelhead fishing. Only one hour to the coast and the port town of Bandon Oregon.